Malgosia Skowronska - wakhanexpedition2012s Jimdo-Page! 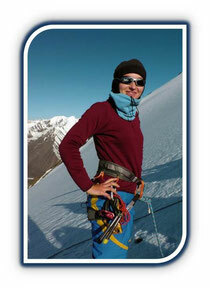 Malgosia Skowranska- (expedition leader/mountaineer, Poland/Great Britain). Student at King’s College London. Her first encounter with high mountains took place during five weeks mountaineering training in Himalayas which was conducted by Nepal Mountaineering Association. Malgosia climbed a 5500m peak in Nepal and proved teamwork capability together with team member Chris on their prior mountaineering expedition climbing a virgin and unnamed peak KOH-E-BROBAR / Mt.Equality in Shimshal of Pakistan´s Karakorum range in 2011. She conducted solo trekking trips in Carpathian Mountains, Alps and Corsica. Her travels in Tajikistan and Afghanistan in the summer 2011 together with Sarah allowed her to gather firsthand knowledge about the region and establish contacts in both countries that have already proofed to be useful in terms of organising the expedition. She speaks Polish, English and Russian which is of high importance in terms of travel in Tajikistan. As she says, ‘my addiction to hot chocolate and risk of lack of it in Wakhan can be the biggest challenge on the expedition’.